It is no secret that the economic situation continues to deteriorate. Job losses continue to be reported on a daily basis and consumers are cautiously watching their spending. Banks continue to hold onto cash and tightening on issuing of credit. Unfortunately, these activities are both needed in order to jump start the economy. On a more micro economic level, in the Silicon Valley, there has been much more activity from real estate investors primarily on homes less than $500,000 in the conforming loan arena. Short sales and Bank Owned (REO's) are enticing investors to pick up these properties. These homes are actually competed after and bids over these low list prices are not uncommon. The MLS now requires that when an offer has been submitted to the bank for a Short sale, the status must be change to Sale Pending even during the review period. Bank Owned (REO's) are more competitive. Banks will typically collect the offers and engage in a bidding process for the property. Of course the Bank Owned properties tend to have extremely low list prices. My Buyer's are slowly coming out to pick up these good deals. Short Sales have been particularly attractive in the marketplace. Sale Pending at Rivermark in Santa Clara! Sold to the Buyers of Alan Wang, an amazing 3 bedroom, 2.5 bathrooms Townhome with 1,716 square feet of living space and a lot at 2,178 square feet in the highly desired Rivermark location. Offer in for $80,000 less than current market prices. Just a few steps to the park and the shopping center. Nicely situated, certainly a bargain. Although things are grim in the marketplace, each person must make the right decisions for their families. If you are blessed enough to not be affected by the job situation and have been looking for a home, it is a great time to consider picking up a deal in the marketplace. If you are a homeowner, hold steady and if needed try to refinance any variable loans as required and plan to ride out this recession for the long run. 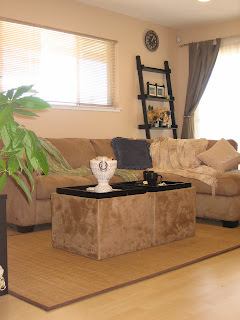 Each person's situation will vary, please contact me if you would like a personal assessment of your real estate needs. 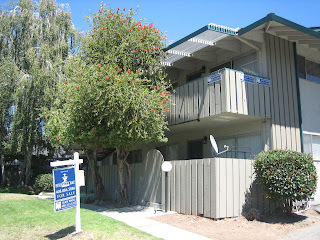 Sold 549 Ficus Terrace in Fremont! 549 Ficus Terrace has been Sold to the Buyers of Alan Wang! 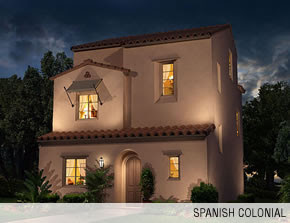 A brand new Single Family Home for $717,000! 3 Bedrooms, 2.5 Baths, 1377 Square Feet. There are still units available from the mid $600,000. Join my Buyers today! 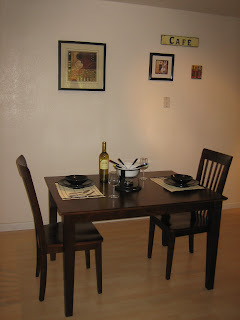 Still Available for Another Week, 607 Valley Forge Way in Campbell! 1 more week left before this heavily remodelled condominium is pulled off the market. Don’t miss out on this excellent opportunity, Sellers are motivated! 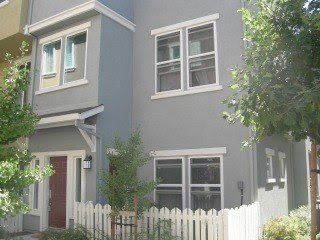 607 Valley Forge #4 in Campbell has been reduced again to $349,000. We had two offers come through but we just could not meet at a common number. Since other Buyers have warmed up my Seller for negotiations please forward this to your friends and family and see if we can get an offer that would work for everyone! Contact me to get on the interest list for an upcoming Saratoga home in the next few months. 4 bedrooms, 3 baths and heavily upgraded. Have your children attend Lynbrook High School in the Fremont Union District! The market has definitely been tough in recent months across the nation. Looking at Santa Clara County, we continue to see an increase in Active listings; however the good news is that we also see an equivalent increase of homes in pending as well. For example the amount of active Single Family homes this week was 5,459 with 1,866 in pending which means only 34% of the homes on the market are selling. Condominiums and Townhomes show 1,794 active listings with 600 in pending which is 33.4%. Neither of these numbers or rates of increase of pending homes show any change in the market in the near future. We are in a Buyers market and will be for some time. The economy continues to struggle with rising consumer prices and tight lines of credit. Although the Fed has reduced rates you maybe asking yourself why have interest rates actually gone up? The Fed’s actions have had the opposite affect. Lowering the rate has caused inflation in prices and has not eased the ability to jump start the real estate industry as occurred in 2001. The sub prime crisis has maid getting a mortgage extremely difficult. Banks are only funding the best of clients with high credit, 20% down payment and scrutinizing every line on the finances. There have been FHA programs but these are extremely painful to obtain and time consuming but do give folks a break on the down payment. The state of the financial industry and the sub prime issues has made obtaining funds very tight. The rates are extremely unattractive to prospective buyers. Now inflation appears to be a risk and look to the fed to raise rates in the next few meetings or after the election. What does this mean for Buyers and Sellers? Sellers, unless you live in those prime real estate locations with a wonderful school district or elite area hold onto your home. Buyers, I would recommend keeping an eye open for good deals and also keep a watch on mortgage rates. Although 30 fixes are not attractive, obtaining a 5 or 3 year ARM maybe a temporary solution as we wait for the long term rates to come down if you see a property that you like. Prices vary by location, so for an analysis on your area please contact me for any and all of your real estate needs! Enjoy a beautiful summer in 2008! Many of us have very busy days working, schooling and spending time with our families. When it comes to loans or refinancing why spend your time getting quotes from banks on rates that change daily and between loan companies! In my lifetime I have had mortgage loans from over 8 different banks. Why you ask? The reason is that the bank that has the good rates today is not the one that will tomorrow. Rates and incentives change on a daily basis and you will need a Loan Agent to watch out this for you! I recently had my loan agent watching rates for over 2 years. We finally got to the lowest rate the 30 year fixed has been at and as soon as I closed the rates shot up again. This type of timing and fast execution is not possible without someone in the industry shopping the rates for you on a daily basis. For those of you that do now have a loan agent already, I highly recommend Mya Tran with Coldwell Banker who I have been working with for over 5 years. Please feel free to contact her at (408)472-7558 or e-mail her at mya_tran@yahoo.com. 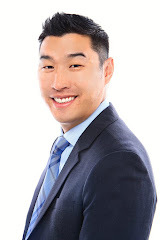 April of this year was Alan's 5th Year Anniversary as a Realtor specializing in residential real estate! The success of the business would not be possible without the support and referrals of you as the client base. I wanted to take a moment and thank you for your support throughout the years and I continue to look forward to your business in the years to come. If you ever have any real estate needs or know of someone who could use my assistance, please do not hesitate to e-mail or call! I am always available to service you. Here are the numbers for the week ending 5/10/08. Overall % in escrow (SFR Only) is 20.4%. This percentage is up 3 tenths of a percent from last month. Total class 1 listings as of 5/10/08 (5363) – 5/12/07 (3348) / Pending 5/10/08 (1375) - 5/12/07 (1106). 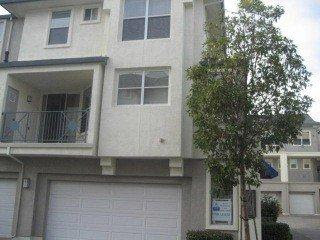 Price reduced $7,000 to $359,000 and increased Buyers Agent commission! The property has been completely remodeled please forward this to any of your friends and family who may be interested. Property is open this weekend Sunday from 1 - 4. 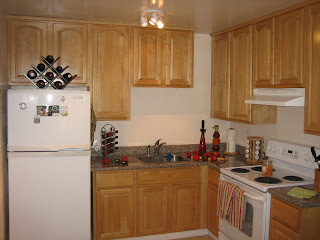 - Fully Remodeled With Over $30k of Upgrades Move in Condition! 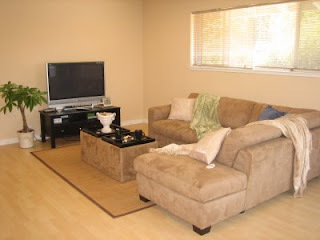 Sale Pending Redwood Shores Property Sold to the Buyers of Alan Wang! As evidence that Buyers are on the move, I am happy to report a Sale Pending on a lovely Townhome by the water in Redwood Shores to my Buyers. This property has 2 bedrooms, 2 and a half baths with 1,424 square feet and 12 years new. As mentioned prior, my office seems to suddenly be filled with clients putting down offers. For those of you that have been thinking about buying in this Buyers market please let me know so that we can sit down and see if this is a decision you should make now. Many are curious how Bush's economic package will affect us here in California. This $168 billion stimulus packaged approved by Congress will increase the conforming loan limit from $417,000 to as high as $729,750 depending on the median price for an area. My loan agent has informed me that March 13th will be the official date that this will be put into affect. Those of you planning to refinance or purchase a home it is time to get ready. - Be sure to clean up any late fees, unpaid debt. It is very important to have good clean credit in this market. - Keep in mind that these loans still may not be at the regular conforming rates but they should be still lower than jumbo rates. For more details this is an excellent Mercury News article. I wanted to share a recent data analysis of median home prices for resale homes. I always take median numbers with a grain of salt due to the large variance in the data; but this is interesting data nonetheless. I have been stating that the "good" areas have been immune to the affects of the sub prime mortgage situation. The reason for this is that the folks buying in these neighborhoods have secure jobs, high credit, equity and downpayments. These are not the people that were flipping homes or extending themselves too far as in "other" neighborhoods, which caused the real estate issues in the market today. The unique, historic and one of a kind San Francisco has shown a 2.23% gain. Of course, a destination for people of all backgrounds, this diverse city has some of the oldest homes that still sell for very high prices. Low supply and high demand will continue to drive real estate prices in the city for many many years to come. 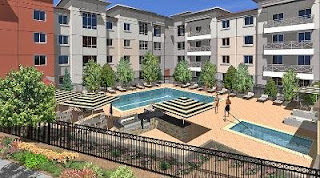 The many landmarks and amount of activities make this "the" place to live for city dwellers. Alviso is a small neighborhood, with some spotty areas and new homes surrounded by older homes. The older homes may have been the culprit in dragging these home prices down in this area. There is also no lure of any schools, but it is close to many Silicon Valley Companies. The low amount of activity maybe skewing the data. Campbell borders Cupertino, Saratoga and West San Jose and boasts a decent school system with a small town feel. This area has had substantial gains at 4.42%. I have seen more smaller new home developments sprout up in this area as well. The infamous Cupertino schools are no stranger to those seeking the best schools for their children in the Bay Area. Parents will pay top dollar to have their children be in this school district. Things have not slowed, although the median has only increased by 1.07%, you must remember the prices in this area have always been higher and the fact that they are holding shows that schools will always be valuable to parents in the Valley. Gilroy, the distance from Gilroy to the majority of the jobs in the Silicon Valley make this place a bit less popular than most. With gas prices soaring, the long commute no longer seems to cancel out the savings of the cheaper home in cities further from work. Los Altos gained 6.77% and Los Gatos gained 3.64%. This is proof that the subprime issues do not affect the upper middle to upper class. These areas have shown solid growth even in a tough real estate market. The city of Milpitas has sustained a decent 3.04% gain even in this tough market. This small town is a jumping point between the East Bay, the South Bay and the Penninsula. Also this city boasts excellent API scores in their elementary schools and attracts younger home owners who value a new home and don't have children or have young children and do not need to sacrifice for an older pricey home in Cupertino just yet. 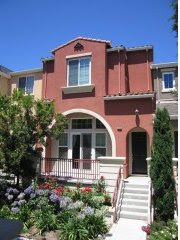 Morgan Hill is much different than Gilroy in that it contains a lovely community that has sustained it's home values. Morgan Hill is a beautiful city with newer homes surrounding. Although it is also a distance from the Silicon Valley, this area has still held in value with a minor dip of .13%. Mountain View's allure will never cease with Google continually taking over more commercial buildings, many more employees seek housing in this area. Mountain View provides a good mix between the city life and small town feel with Castro street and El Camino Real. Showing a 5.73% gain, shows that Mountain View is still highly desired by all in the Bay Area. Palo Alto by far gained the most in the Bay Area at 16.34%. The prestigious Stanford University, excellent schools and Downtown Palo Alto draws people from all backgrounds to move into this very diverse city. I am a little surprised to see a .45% gain in San Jose, but it seems to make sense if we are talking about homes that have "sold" during this time frame. High inventory levels exist especially in East San Jose. It is important to note that San Jose is a very large city and should be divided into North, South, East and West. North and West San Jose have sustained well in this market. North Valley has a large section of newer homes and West San Jose bordering Cupertino allows families to send their children to Cupertino Schools. The East and South seems to have had the most people who have sub prime loan issues. Santa Clara has remained flat which is still a credit to this area. Being close to companies and being diversified with a mix of homes has sustained this area. Rivermark is by far still the hottest community in Santa Clara. Saratoga has sustained itself through some of the worst of times. A private town where there are no street lamps, here are some of the best schools in the Valley. Whether folks are looking for a quiet home in the hills or some of the best schools for their children, Saratoga has shown that no matter how bad the times, their city is still one of the most desired places to live. Sunnyvale, a city bordering Cupertino, West San Jose and Mountain View, and also nearby many Silicon Valley companies is still a hot city to live in. Building many many new Townhomes, young workers find this city a great city to reside. All data was gathered from Data Quick Information Systems: http://www.dqnews.com/ZIPCAR2007.shtm. All explainations are the opinion of the writer and his interpretation of the data at hand. I am proud to present a brand new listing in 607 Valley Forge Way #4 in Campbell! Open House every Sunday from 1 - 4 until through March 2nd. 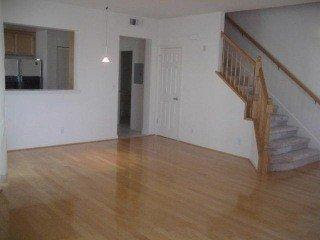 The property has been completely remodeled please forward this to any of your friends and family who may be interested.